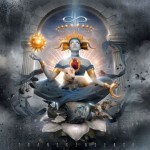 Share the post "Album review: DEVIN TOWNSEND PROJECT – Transcendence"
Innovative, daring, experimental, compositionally challenging, surprising, addictive…check any review for a Devin Townsend Project album, either online or in any of the specialized musical magazines which help promote our beloved music around the globe, and you will most certainly find some (if not all) of the above-mentioned adjectives used by my colleagues in their attempt to accurately describe the mad Canadian’s unique blend of Rock/Metal music. Having missed 2014’s “Sky Blue” but with the sounds of the amazing “Epicloud” (2012) still ringing in my ears, I decided to prepare a review for Devin’s latest musical offspring entitled “Transcendence”, in hope of finding out whether the above adjectives continue to describe HevyDevy’s music in the year 2016 . It’s always been the case that Townsend’s music requires one’s totally undivided attention before it starts revealing its many unique charms, however, it only took a couple of good spins for me to realise that “Transcendence”, while sharing a handful of attributes with its predecessors, is really a totally different musical proposition. While the interaction between multi-layered vocal passages and guitar-driven musical themes is again the focal point of the album, the ten compositions that put together this album are far more pompous and ‘cinematic’ in their appeal in comparison to the ones features in previous releases. Furthermore, this album features a handful of themes/ideas that one could hardly describe as ‘metal’ in origin, but whose sound is so powerful and presentation so damn compelling that the make them easily compete with Devin’s past material in both purpose and overall effect. Now, add to that a few Dream Theater-styled melodies, a few emotionally-powerful choir passages and some cleverly-crafted supporting orchestral parts and what you get in return is a real musical gem. The album kicks off with a truly grandiose composition entitled “Truth”, a four and a half minute piece filled with bombastic drum beats, epic choral parts and a simple riff whose heaviness is weighted in gold. More emotional in its approach “Stormbending” features melodies that Dream Theater would have loved to have incorporated in “The Astonishing” while the heavy-riffed “Failure” finds Devin employing the higher tones of his trademark vocals. In “Secret Sciences” what we have is a pop song that’s presented in a pretty heavy way and the Prog-orientated tunes of the technically-challenging “Higher” are followed by the more melodic ones of the four minute “Stars”. Cinematic, pompous and epic-sounding, the same-titled “Transcendence” certainly stands out from the crowd and offers a beautiful contrast when compared to the more up-beat, riff-driven tunes of “Offer Your Light”. “From The Heart” is one of the most impressive composition of the album as it manages to bring together various contradicting themes and makes them operate as a tight unit while “Transdermal Celebration” concludes this impressive release through an array of harmonic guitar themes and ‘futuristic’ keyboard themes of great emotional value. With real inspiration as his true guide and the assistance of a number of highly-talented musicians, amongst whom Anneke Van Giersbergen (vocals), Che Aimee Dorval (vocals) and Niels Bye Neilsen (orchestrations), Devin Townsend has created another unique album – one whose value and influence will be evaluated and truly appreciated in the months and years to come. This entry was posted in ALBUM REVIEWS, ALBUM REVIEWS (Mobile), All Posts, PURE METAL (All posts), Pure Metal/Album reviews and tagged album, Devin Townsend Project, fusion, metal, progressive, review, rock, Transcendance. Bookmark the permalink.